Today's feature is re-purposed from the LinkedIn blog of Michael Wolfe, CEO of Bottom-Line Analytics and Global Analytics Partners and expert on marketing ROI, advertising effectiveness measurement and big data analytics. Michael teams up with ABX on market mix modeling and other projects. Subway’s back, with gusto! Of ABX’s Top Ads of the Previous Week, Subway scored #1 in three of the five media types tested by ABX each week – Television, Internet and Out-of-Home. Relating to its slogan, “Founded on Fresh,” the highly effective advertising plays off words, letters and numbers with super-crisp typefaces, memorable low prices, and fresh-looking food. For more ad analysis on other industry categories, see our Competitive Intelligence resources tab. We evaluated McDonald’s new “Breakfast All Day” creative. 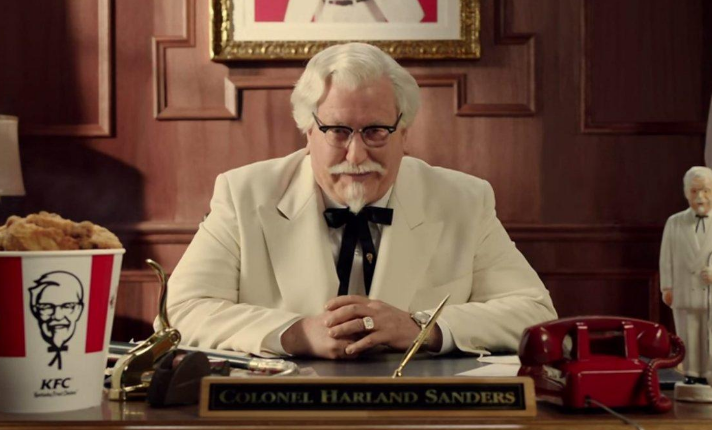 If you’ve seen our previous data, you know that McDonald’s has been struggling all year in ad effectiveness. For more ad analysis in different categories, see our Competitive Intelligence resources page. 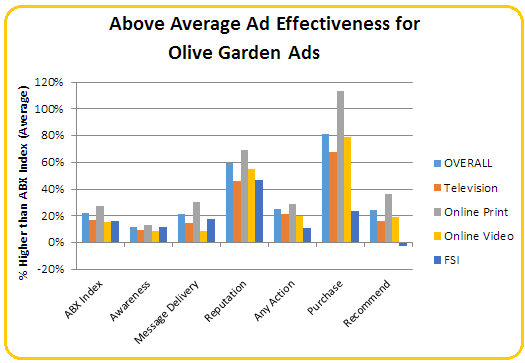 Is Olive Garden's Competitive Ad Effectiveness Really in Need of More Creativity? Olive Garden is putting its creative agency account into review. Grey, which has had the account for 30+ years, is defending the business. The client is looking for a more "creative" approach to their ads.